Welcome to our website. 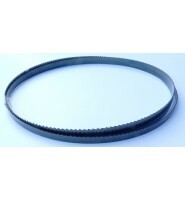 At Beverstock Saws in Cwmbran (South Wales UK) we supply and service all types of Narrow and Wide Bandsaw Blades, TCT Circular Saw Blades, Router Cutters, Abrasives, Metal Cutting Saw Blades, Reciplicator blades and tooling. Basically if its got a cutting edge then we can sharpen it or supply it from our large range ex-stock from our South Wales factory. We operate the largest bandsaw sharpening service in Wales with precisely-engineered sharpening and setting machines as well as circular saw blade CNC Sharpening and CNC cutting from blanks. 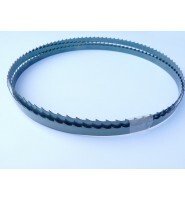 We can weld bandsaw blades to any custom length. 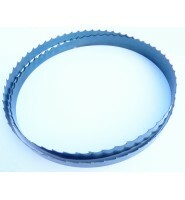 "Dear Linda, Steve and team, I have just received my bandsaw blades ordered yesterday. What a fantastic service! Many thanks, I hope that your business goes from strength to strength. 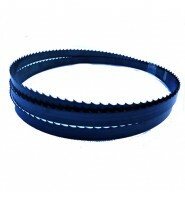 Ideal for wood production cutting and short production/maintenance/general purpose applications usin.. 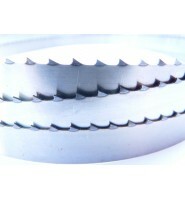 Ideal for wood production cutting and short production/maintenance/general purpose applications us.. 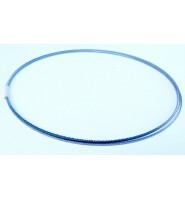 Ideal for meat & fish cutting, bright silver steel finish for superior hygiene.5/8" width x .025..